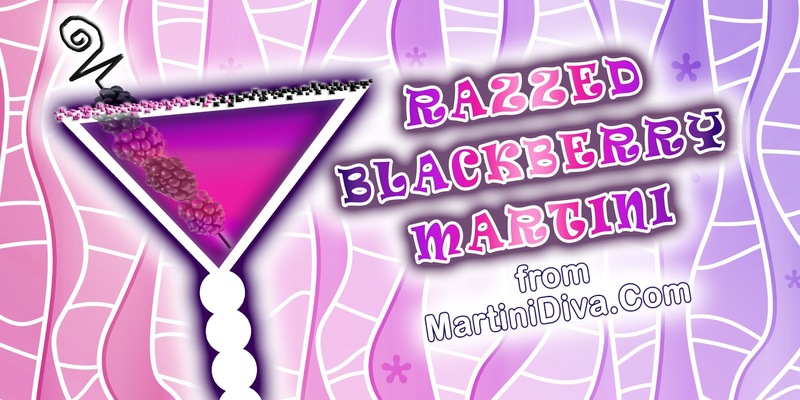 This is another great fresh blackberry martini. 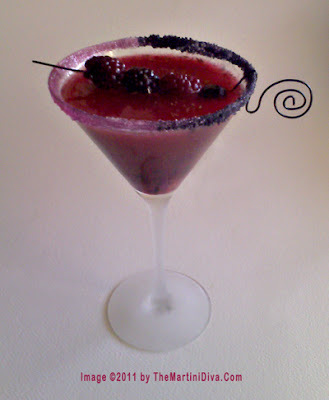 I did one last week - The Blackberry Bramble Martini - with strawberries and a pinch of tarragon. 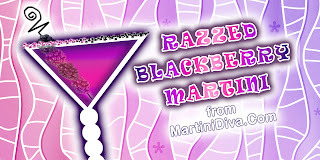 Today's Razzed Blackberry Martini combines fresh blackberries with equally fresh raspberries and just a tad of rosemary for a win/win cocktail / health scenario. Fresh blackberries rival blueberries for health benefits. Raspberries bring their own goodies to the party as well so it's kind of a guilt free party you're attending here. Take note of the fun I had with the sugar rim - half pink and half black. Just because. Dip the glass rim into lime juice then into the sugar to rim. Muddle the blackberries, raspberries, lime juice, agave syrup and rosemary in the bottom of your cocktail shaker. Fill the shaker with ice then pour in the vodka and shake until well blended. 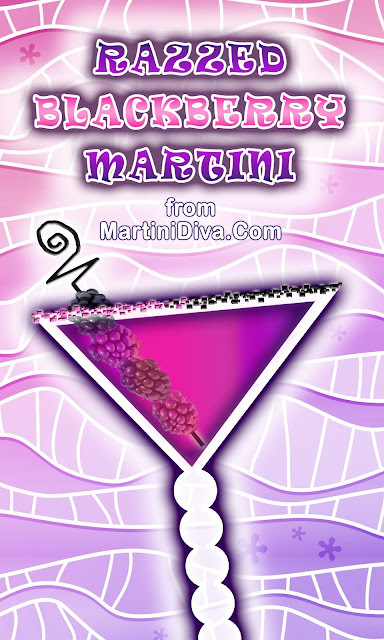 Strain into your martini glass, leaving room for the soda. Top off with the soda then garnish.